Is the red line on a Redline flashlight enough to make a flashlight the best flashlight ever created? If you have been looking for a flashlight that will meet all your emergency needs as well professional needs if you are in tactical training, then, it means that you’ve tried different brands of flashlights. If you are reading this article, it means either one of two things, maybe it’s your first time shopping for a flashlight or that you can’t take the disappointment that comes with spending lots of money on a flashlight that stops working before you can make full use of the flashlight. Fortunately, Nebo understands your frustrations. To give you a lasting solution, they have a wide range of flashlights designed to meet your needs. Their Redline flashlights aim to offer the best experiences thanks to their high-end technological designs. The flashlights are small, compact, strong, and full of features that enhance their functionality. Whether you are looking for a flashlight to use in tactical training, for emergencies at home and in the car or for occasional use when camping, the Redline Flashlight will work for you. What makes the Redline flashlight standout? Why Choose Redline Flashlight but not others? 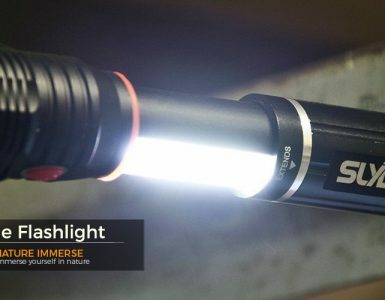 Levels of brightness: at 100 percent brightness, this flashlight emits 220 lumens of light and has a beam distance of 150 yards that lasts for four hours. At 50 percent, emits 110 lumens of light reaching 65 yards and the flashlight stays on for 8 hours. And at 10 percent brightness, the flashlight has 22 lumens of light that can illuminate up to 30 yards for 15 hours. S.O.S Mode: to activate the S.O.S mode, you have to click the rear button four times. The S.O.S sequence is when the flashlight is at its brightest at 220 lumens. You can also activate the Emergency Flashing Strobe Mode Sequence (Defensive Strobe) option by clicking the rear button five times. This flashlight is also a favorite among tactical defense teams because of the 4X adjustable beam with which you can turn the bevel clockwise to use the flashlight as a flood light. This adjustable setting makes this the suitable flashlight for short range lighting. By turning the bezel counterclockwise you transform the spotlight into a spotlight, the ideal focused light for illuminating about 20 yards. The aggressive Self-Defense Face: in case of danger, you can use this defense face for self-defense. It is made using anodized aircraft-grade aluminum which makes the flashlight lightweight and strong. This body is indestructible. The flashlight’s compact aluminum waterproof design means that you can fit it anywhere. This flashlight also features a rear glow-in-the-dark tactical button. This button allows you to switch between functions easily while maintaining a constant control over the flashlight. The button makes use of the advanced click and soft-touch technological operation. Since it glows in the dark, the button makes it easy to spot the flashlight in the dark. Its ease of use is further enhanced by the powerful magnetic base which allows you to stick the flashlight to any metallic surface for hands-free operation. The magnetic base also comes in handy when retrieving metallic pieces from tight spaces. It comes with three AAA batteries. The rear button glows in the dark making it easy to find. The design is virtually indestructible thanks to the use of anodized aluminum (aircraft-grade). The red plastic threaded piece is weak, and they break off fast. It lacks the Strobe mode. Everyone looks for the kind of flashlight that promises to last for more than a few months. It is disappointing to spend a fortune on a ‘high-end’ flashlight only for it to stop working in the middle of a camping expedition. This Redline flashlight is one of the best flashlights, and it is long lasting. It has a high-power LED bulb whose output stands at 310 lumens of light. The bulb comes with a rating of at least 110,000 hours of life. It is easy to use, thanks to the Smart Select Dial which helps you change light modes easily. It also features a stealth ring that gives you the option of blocking light from shining through the signature red ring. With the 4X adjustable zoom that changes the beams of light from focused/ spot to floodlights. Therefore, it is a versatile flashlight that enhances any outdoor experience. Besides the versatility, it is also long-lasting. This flashlight has an anodized aircraft-grade aluminum which is impact resistant and water resistant. The use of aluminum also gives this flashlight its compact body design. It comes with S.O.S and Strobe modes. It is very bright and versatile. It has a durable design, and it can withstand the toughest conditions. It is adjustable, and you can select the lumens and different SOS options. It has a focused adjustment. The magnetic base makes for hands-free use.. It is too wide to fit in pockets. The chosen flashlight has to be the one that works well whether you intend to use it occasionally or daily. This flashlight is an improvement of other Redline flashlights, and it is very user-friendly and efficient. It has two lighting modes separated into primary and secondary lighting. By turning the flashlight on and off, you get the primary mode that features a high-powered 2800 Lux LED which makes it a very powerful flashlight. The secondary lighting mode, on the other end, has three different options, the medium, low and the S.O.S options. This Nebo Se Redline Flashlight is easy to find in the dark thanks to the rear-positioned glow-in-the-dark on and off button. It also comes with defensive probe activated by holding down the power button for just three seconds. It is versatile with primary and secondary modes. 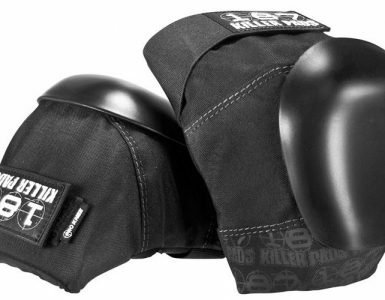 It is perfect for outdoor use especially defensive training. It is easy to use and to transition between different modes. Built-in magnet makes for hands-free operation. Too small to mount on a barrel of a shotgun. This is a high-powered flashlight that comes with a 600-lumen LED bulb that emits pristine white light. This Redline flashlight is unlike other flashlights in the Redline family. As an OC, it has Optimized Clarity Technology. It is coupled with a convex lens, and the OC technology creates optimized clarity with a perfectly dispersed beam of light that works when the flashlight is in flood mode. With the use of this sophisticated technology, the 600 Lux light is easy on the eyes. At 600 Lux, it lasts for 2 hours, and it covers 92 meters. In the Strobe mode, it lasts for 4.5 hours, and the beam reaches a distance of 92 meters. Its power is enhanced by the 6X adjustable beam of light. The adjustable beam makes this the versatile flashlight for use outdoors. The magnetic base makes for the flashlight’s hands-free operation. There also is a dual direction pocket/ belt clip that makes use easy. The anodized aircraft-grade aluminum enhances its durability as well as water and impact resistance. You can trace this flashlight in darkness thanks to the glow-in-the-dark ON/ OFF switch at the rear. The switch uses the soft-touch technology. You only need one AA battery to use this flashlight. It is also versatile. It doesn’t just work as a flashlight; it is also a hand torch, hand light, LED light and a LED flashlight. It works as a strobe. The AA battery lasts a long time. It is bright, and the magnetic base makes for hands-free operation. It is versatile with different modes, and it zooms in and out with its 6X adjustable zoom. This small flashlight is choked with elegant features that make it the most functional flashlight. It has a redesigned body complements the technological features which make this a great source of light. The use of a redline is unique in this flashlight as it is in automotive. In the latter, it means reaching peak performance, and in the former, it means harnessing maximum power. In this flashlight, redlining is responsible for the flashlight’s 2185 lux of blinding bright lights. There are different light modes with high at 2185 lux lasting for 4 hours and reaching 138 meters. At 1025 lux, the light lasts 8 hours and reaches 60 meters. At its lowest, 225 lux, this flashlight stays on for 15 hours and illuminates a maximum of 27 meters. This flashlight also boasts an S.O.S mode where 1015 Lux lasts for 72 hours and reaches 138 meters; this applies to the strobe too. The anodized aircraft-grade aluminum makes the flashlight strong, durable, water and impact resistant. Its convex lens, the tactical edge, and the 4X adjustable beam make this flashlight perfect for all outdoor uses. The magnetic base at the rear facilitates hands-free operation while the glow-in-the-dark feature makes it easy to trace in darkness. 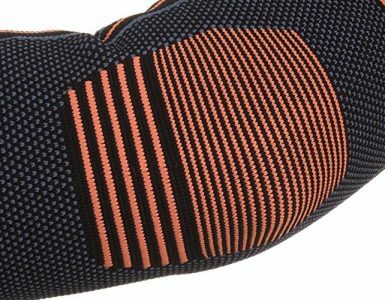 Ease of use is enhanced by the ON/OFF switch as well as the use of the soft touch technology. You need 3 AAA batteries to use this flashlight. It has bright lights with adjustable brightness for use in different conditions. It is affordable for a tactical flashlight. It works as a strobe, and you can change the beam. It works easily on a shotgun. The red line and the tip may come off if it falls hard. Some break after few uses. As the name suggests, the Redline flashlights have a characteristic red line. But that isn’t all; Redline isn’t just a unique brand name but a representation of the flashlight’s ability to harness maximum power. Redlining increases the peak of the flashlight’s performance. So, if you are looking for the flashlight worth your bucks, try Redline flashlights. The redline flashlight stands out also because they have a high light output that is adjustable. Some of the flashlights last for days making them the right flashlights for tactical training. They also come with a strobe and S.O.S modes. The Redline flashlights are also a preferred choice because they cover long distances. So, you can use it to alert other motorists when stuck at night or when looking for targets in your tactical training. Tactical flashlights aren’t exactly cheap, and like every other high-end flashlight, you expect it to last long enough working perfectly. Unfortunately, that isn’t the case always. Having tried my hands on different designs and brands of flashlights, which all lie in a junk box at the moment, I know what a good flashlight is. Or, at least I understand what to look for. After many years of research, firsthand experiences and the experiences of others, the Redline line of flashlights is one of the best. It is the reason why I have a couple of redline flashlights in the garage, kitchen and the car. High-powered lights – a powerful flashlight should point objects even in pitch darkness and the Redline flashlights do this well. Their high-powered LED lights make them bright but still safe on the eyes. With the high power, the flashlight illuminates a larger area and a longer distance than other flashlights. Different modes: the flashlights are among the more versatile than other flashlights I have used before. The most common modes that make the flashlights ideal for every homeowner, camper, and driver include the primary mode that offers the maximum illumination. They also have an S.O.S mode, Strobe, medium and low light modes. These light modes are important as they determine how long the flashlight will stay on. The best Redline flashlights have S.O.S and Strobe modes which allow for the use of the flashlights for up to 72 hours. Durable design: despite the high-tech features which make for multiple functionalities, the Redline flashlights boast of durable designs resulting from their construction using aircraft-grade anodized aluminum. The use of aluminum also makes the flashlights lightweight, impact and water resistant. Rear operation: unlike other flashlights, the Redline flashlights feature easy-to-use designs. They have a rear ON/OFF button which glows in the dark so that you can find and use the flashlight in pitch darkness. Hands-free operation: the flashlights come with a magnetic base which sticks to any metal surface. So, you can fix a minor car issue in the dark without worrying about where to put the flashlight. If camping, you can cook or pitch your tent without an extra set of hands. So, if you are looking for the best surveillance flashlights, flashlights for tactical training or powerful flashlights to keep in the car for emergencies, you should try the Redline flashlights. You are going to need a flashlight even if you aren’t going for any tactical training. A flashlight is a handy tool when hiking, camping, jogging and when driving. Anything can happen, and despite having perfectly good eyes, humans are blind in the dark. Since the flashlight is your pair of eyes in the dark, you have to find the best pair. With the right flashlight, you will find your direction, avoid danger and protect other road users. Thanks to technological advancements, there are advances LED lights which aren’t just small but also powerful. A high-tech LED flashlight will illuminate your path in the dark for hours even when powered by simple AA or AAA batteries. The best Redline flashlights have LED lights. LED lights aren’t just right because of the small space they take but also because the lights will stay on for a long time. LED doesn’t greedily eat up the battery’s power. So, you get two benefits for the price of one; long battery life and bright lights. Pro tip: when buying a LED flashlight, you should consider the use of the flashlight. You need a flashlight that will withstand the toughest conditions even if it falls. Don’t forget about the light output from the flashlight. If you decide to buy the best flashlight, why not get a flashlight worth your money? You don’t need a flashlight that breaks or stops working after a few days. What makes a reliable flashlight? It doesn’t come with electrical issues, and it goes on or off when you need it to. For a high level of reliability, the flashlight should have a body that withstands a few drops on soft and hard surfaces. Whether you like it or not, the flashlight will drop, just make sure that it can withstand the fall. Pro tip: a reliable and a durable flashlight will not lose its brightness just because it fell. A reliable Redline flashlight has an aircraft-grade construction which makes it strong and resistant to breaks. Ask the seller and other users if the flashlight comes with a seal that protects it from dust, water or dirt. Lastly, check for shock-proofing features like an LED bulb. Pro tip: the unique identifying features of a tactical flashlight include LED, shock-resistant bulb, at least 100 lumens light output, solid construction and water, impact and shock resistance. They are also large enough to fit in hand with a good grip. With the strength, you can use a tactical flashlight as a striking weapon. The best Redline tactical flashlight also comes with a tail-mounted switch for instant switching, and it is small enough for an EDC. This is an important feature in most tactical flashlights. The bezel holds the lens of the flashlight to the body protecting the lens and the LED bulb from any damage. Pro tip: although it doesn’t affect the light output directly, a flashlight missing the bezel won’t work. It is also important for protection in case of an attack, and you can use to strike your enemy with it. When buying a Redline flashlight, it is important that you consider the type of lens. The lens protects the bulb, and it also keeps out dust and water. Pro tip: the best Redline flashlights have a convex lens which increases the functionality of the flashlight. You can also use the lens to illuminate an area in different colors because different colors alter or enhance visibility. The best Redline flashlights have LED bulbs. The LED bulb can give about 50,000hours of continuous use. So, you will have one bulb for about five years. Pro Tip: LED bulbs are preferable because they don’t have a filament. This makes them more shock resistant and more reliable. Also, LED lighting offers the best vision regardless of the existing environmental conditions. You also need to consider the general performance of the flashlight. All flashlights are measured and rated using the ANSI FL1 standards put forth in 2009. The Redline flashlights meet the requirements of these standards. To measure performance, you have to consider the light output, beam distance, the runtime, water resistance, and the impact resistance. Pro tip: you cannot determine the fill performance and functionality of a Redline flashlight by considering one feature. You have to place all these elements under consideration. The battery type also affects the flashlight’s performance. Redline flashlights have disposable AAA or AA batteries. Other than the high, low and medium light brightness, your Redline flashlight will also have additional special modes like SOS and Strobe. These are important features of tactical flashlights. Pro tip: the best Redline flashlights have strobe and SOS modes. Strobe is an important feature for tactical cases as it confuses the targets. It creates a Bucha effect, and this is why you need this in a tactical training flashlight. SOS, also called Morse code is an important signaling feature. If you need a Redline flashlight for emergency purposes, make sure that it comes with an SOS feature. Other features and factors include light filters, tail switch, reflectors, the price, as well as the size and the weight of the flashlight. Why should you buy a Redline Flashlight and not any other flashlight? While there are many flashlight brands on the market, the Redline Flashlights are more versatile. They aren’t just survival tools but also great at signaling, and night maneuvers. Redline flashlights are known for harnessing their maximum potential. As a result, they are among the best tactical flashlights. You may also need a redline flashlight because it has adjustable brightness and most of the flashlights on the Redline line have zoom features. The flashlights also have different modes which determine how long you will use the flashlight before it goes off. Which is our best Redline flashlight? In this review of the top five Redline flashlights, it is clear that each flashlight has its unique features that make it an excellent choice in different conditions. However, having considered all the features, we recommend the Nebo 5581 Redline flashlight as the best Redline Flashlight. It is one of the most powerful and highly functional Redline flashlights that meets tactical training needs. It has three levels of brightness and an S.O.S mode as well as an emergency flashing strobe mode. You can use it as a flashlight in short ranges. It is also sturdy and works well as a defense tool. The anodized aircraft-grade aluminum makes it durable, water and impact resistant. You will also like it because it is easy to use. Therefore, if you are looking for the best Redline flashlight, you may want to consider this Nebo 5581 220 Lumen Redline Tactical Flashlight.